It’s game time for the Marvin Williams Center. The $6.4 million project, to include a gymnasium and job skills center, will break ground July 7 at the corner of Park Avenue and 8th Street. “We’re ready and boy are we excited,” said Larry Robertson, pastor of Emmanuel Apostolic Church, which is spearheading the project. It’s been a long road for the New Life Development Agency, the development arm of the church that has been planning the community center for more than a decade. Once opened, the center will provide everything from job training to a place for teens to play after school. It will be named for Williams, a longtime NBA star born and raised here. Save the dates were mailed out starting last week. Donations and state funding have poured in for the center in recent years. The State Legislature funded $1.6 million of the project in its capital budget in 2013; donations have from from the C. Keith Birkenfeld Trust, the family of teacher A.Y. Petter and Williams himself. The center was $755,000 away from full funding last October, following a $100,000 from longtime developer Tim Ryan. But in the time since, several large donations have rolled in, including $112,000 during the Kitsap Great Give. Robertson said the organization is still short the project’s $6.4 million price tag, but by an amount it is confident it will reach in the coming months. Williams, the center’s namesake, just finished his 11th season in the NBA, and enters the summer in free agency. He called this past season “probably the most fun year of my career,” helping the Hornets amass a 48-34 record with nearly 12 points a game. The team recently lost a a nail biter of a first-round series to the Miami Heat, 4-3. The groundbreaking will be at 5 p.m. July 7. Robertson said construction should take nine months. Williams, who grew up in West Bremerton, has gone onto become one of the area’s most celebrated sons, having spent a decade in the NBA. He finished up his college degree from the University of North Carolina this summer, his father, Marvin Williams, Sr., told those gathered Friday. He’ll play for the Charlotte Hornets this year as well. 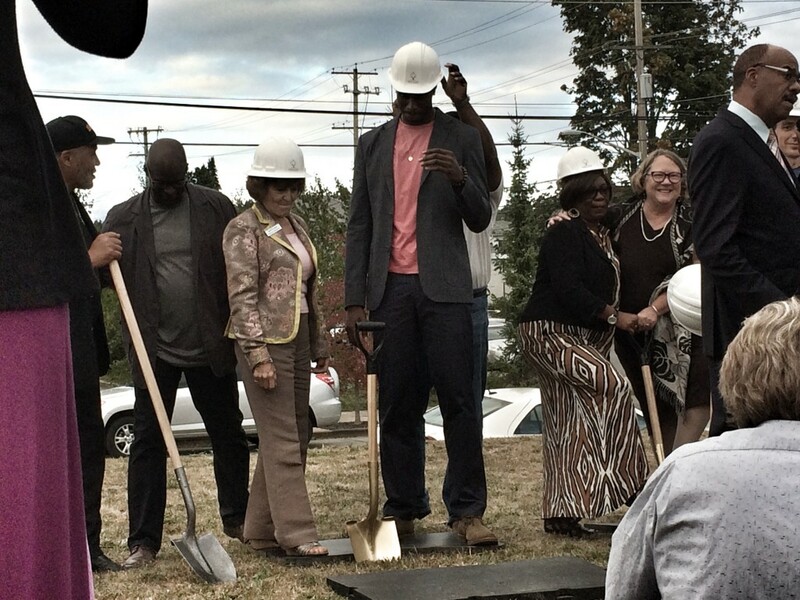 But because the NBA season starts up in November, Williams won’t be around at that time to mark the official groundbreaking of the center that will bear his name. 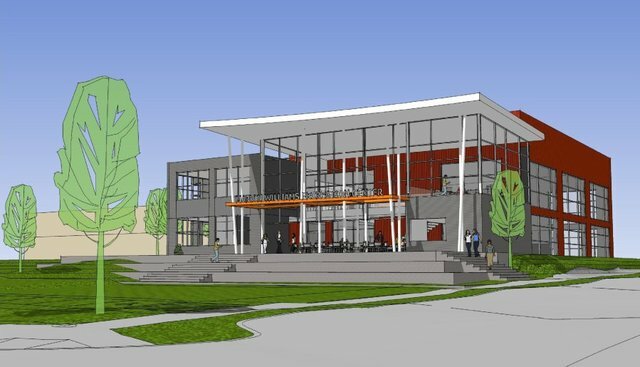 The Marvin Williams Community Center, combined with the C. Keith Birkenfeld economic empowerment center, is a $7.1 million project spearheaded by the New Life Community Development Association, a wing of Bremerton’s Emmanuel Apostolic Church. 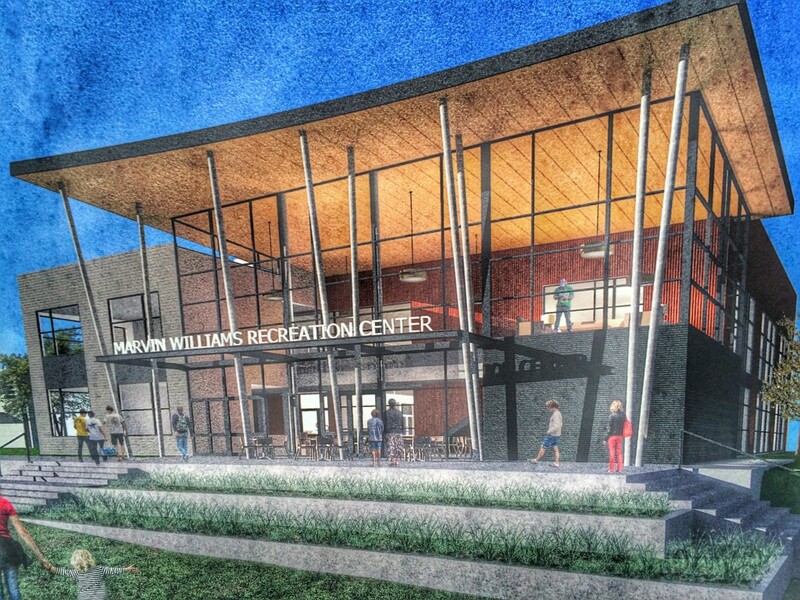 Organizers already have almost $5 million in donations and government grants; the Williams-named recreation center, complete with basketball court, will be built by summer 2015. Speeches Friday by politicians, donors and Williams himself were upbeat with promise about the future of the area (even a speech by Kitsap Community Foundation Executive Director Kol Medina, in which he referred to county residents perceiving West Bremerton as “the armpit of Kitsap County,” didn’t spoil the mood). 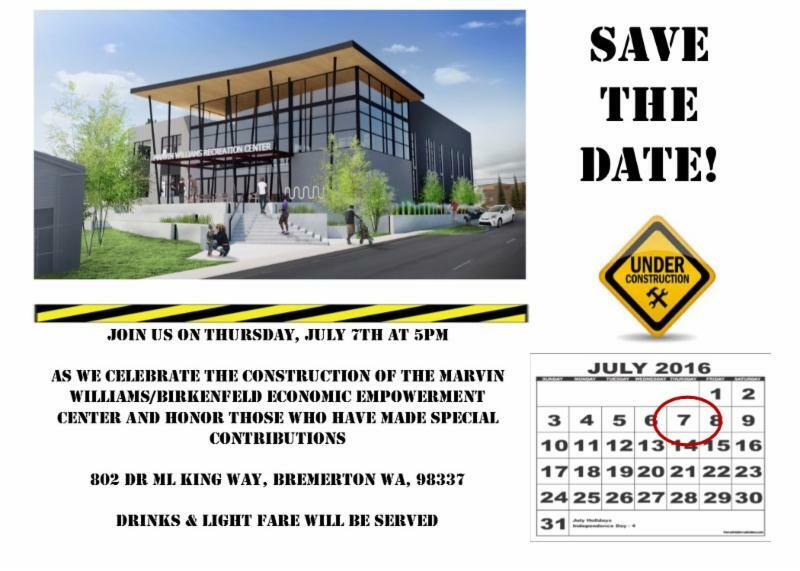 “This building is going to be for everyone,” added Bremerton Mayor Patty Lent, noting the City Council’s recent renaming of nearby Seventh Street for Dr. Martin Luther King, Jr. Watching this project go forward is in some ways witnessing Williams’ legacy unfolding before our eyes. 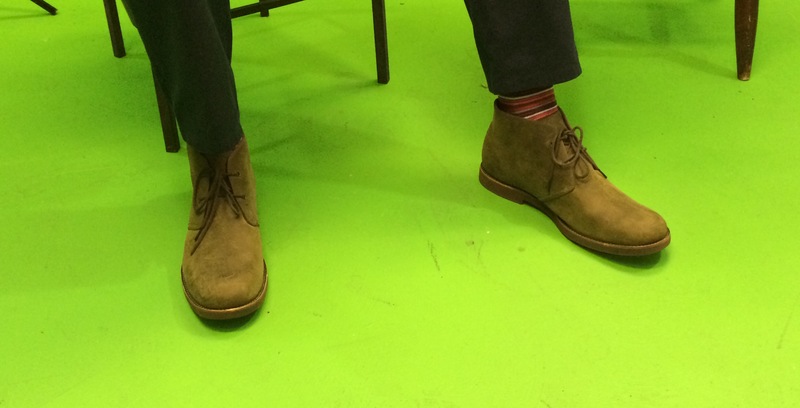 And, I must say, he’s got some serious style — I snuck a photo of his shoes and socks during the interview. See below.